HomeAnalysisThe Great GMO Experiment: FAIL … !!! The Great GMO Experiment: FAIL … !!! Those of us who have been in the GMO fight for any length of time are painfully aware of the corruption and cronyism involved. Mega corporations such as Monsanto enjoy a revolving door into the regulatory heart of many governments across the globe with a special emphasis on the US government. The key players in this industry have been extremely successful at eliciting favorable actions such as, immunity from prosecution (then retracted via a massive outcry from We The People) as well as favorable laws and regulations encouraged by sub-par or biased legal standards. 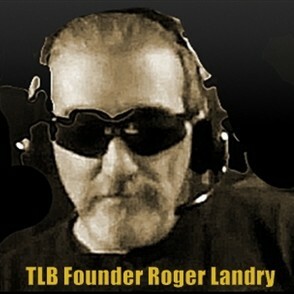 Accountability is almost non existent and ethics don’t appear to be practiced, or even exist. When an industry whose products are under fire from across the planet for eliciting extreme health and biosphere hazards, is allowed to police its own science and thereby set the acceptable standards, then greed and the lust for power become the standard, not ethics and concern for human life. The Great GMO experiment underway is proving to be a colossal failure and eminent danger on so many levels, and may just as well prove to be the most heinous intrusion into the health of humanity and the global biosphere ever perpetrated … The most concerning aspect of all of this is that the GMO industry HAS to be aware of this on many levels! So just how deep does this rabbit hole go? Eighty percent or better of all the processed foods we buy in the supermarkets today contain GMO’s and trace amounts of the deadly chemical poisons (Roundup etc…), meaning even if you are conscious of this health tyranny, without a college degree in chemistry to decipher the ingredient labels, these poisons are extremely difficult to avoid. The concept of GM crops was sold to farmers under the pretext that the yield per acre would increase to a level as to make handsome profits a reality. To date this has proven false. The concept of insect resistant crops was sold to farmers under the pretext that they would require far less insecticides on their fields thus lowering the per acre cost to grow these GM crops. To date this has proven false. The concept of chemical (Roundup) resistant crops was sold to farmers under the pretext that they would be able to control weeds in their fields much more effectively and with less chemicals and again show more profit per acre planted. 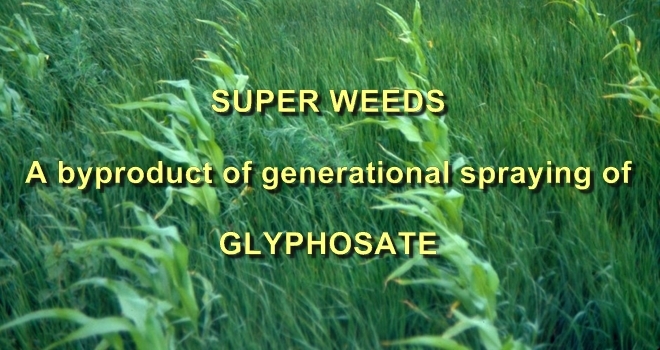 This again has proven false and has given rise to what is now termed super weeds and super bugs, that are consequently just about chemical (Roundup) resistant. This now requires the spraying of some fields at a much higher rate than before this failed experiment began. Cross contamination is now a major issue in many areas as the natural pollination process carries the genes from a field of GM crops to the field of non-GM crops, and out into uncultivated areas. 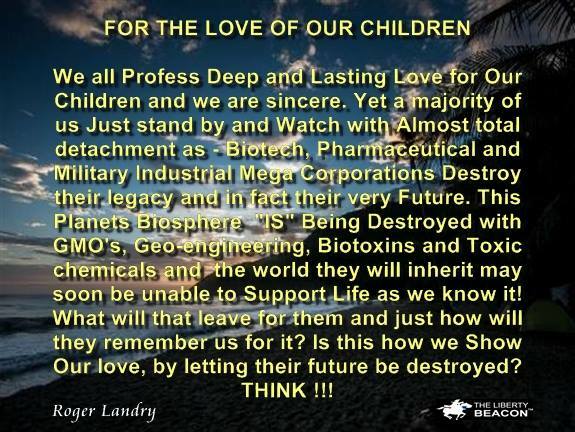 Some scientists are ringing the alarm bells with vigor, screaming at the top of there lungs that irreversible damage is proliferating throughout the global biosphere and this may in fact prove fatal to it. Time after time we see the claims and promises of GMO’s crash and burn in flames. But by far the biggest misrepresentation, or blatant lie, is that “GMO’s are safe for human consumption”! With links to everything from Autism to Cancer (two of the most prolific health catastrophes in the USA), independent studies being conducted across the world are proving the hazards of GM food consumption daily, and this is ignored by both the GMO industry and our government possibly leading to the catastrophic endangerment of humanity itself. America is sicker than at any point in our history by a huge margin (FACT). Is it just coincidence that this coincides almost perfectly with the rise of GMO’s, and their massive proliferation into our society? The only point of disagreement TLB has with this video (below) is their statement that 60% of all the food we eat daily is genetically modified … in-depth research shows the number to actually be (or exceed) 80%. Aside from this issue this is one of the best short videos we have found to educate on the dangers of GMOs. This video (below) was originally released in 2012 and at its end talks to Proposition 37 in California. Please disregard this small section. Once again this is a great video for answering the questions, or debunking the lies we have been told, concerning the dangers of GMOs. 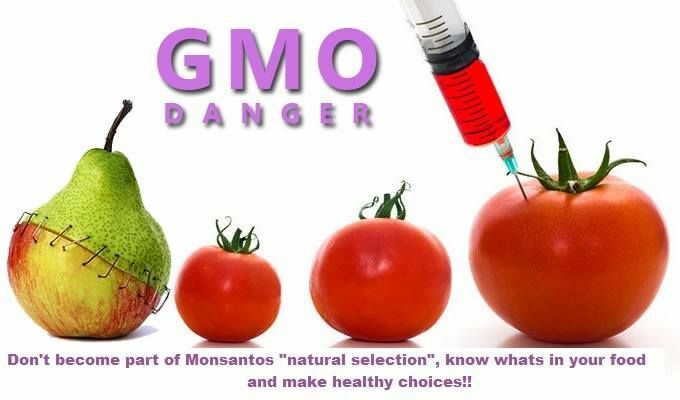 This final video I present to you ‘Jeffrey M. Smith – Questions and Answers on GMO Dangers and Warnings‘ is a series of questions and answers pertaining to the dangers of Genetically Engineered or Modified foods. While not much of the information available in this article is new, there still remains a serious problem of ignorance (lack of knowledge) pertaining to this information in the American society. The intent of this article is simply to put as much connecting information in one place so as to allow a (hopeful) change in mindset with as little research as possible (although I strongly encourage further research by all who read this). The truth is that we are being lied to by such entities as our government … EPA, FDA, and the Biotech industry. The real question that needs to be answered is … WHY?